Over 75 years of performance. 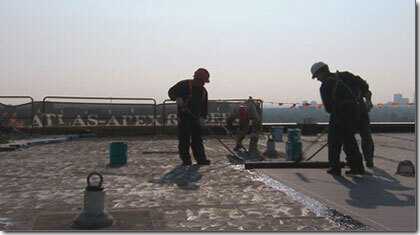 Atlas-Apex Roofing is a company built on the concept of performance. We measure our success on our ability to perform for our customers. That’s our focus. With over 75 years of experience in the roofing business, we’ve created a smarter roofing company designed around the way our customers run their businesses. We provide all the tools and information they need, when and how they need it.